Historically, the number of dog bite fatalities in 2018 were consistent with a number of fatalities that happened in previous years: namely, approximately 25-40 people were fatally killed each year by dogs. Fatal dog bite statistics for 2018 (35 people were killed by dogs in the USA in 2018) showed that most of the victims were children or the elderly and in almost all instances the victim was alone when the incident happened. A large percentage of the incidences happened in the “territory” of the dog or shortly after the dog(s) escaped from the property in which it was living. A large percentage people killed by a dog are familiar with the dog, such as the owner. And it is worth noting that the number of fatalities (or for that matter the estimated number people bitten by dogs) in the United States in 2018 did not change markedly despite the abundance of information about dog bite safety available on the Internet. Information about dog bite safety can be found elsewhere on this website. Useful information on dog bite prevention can also be found on the websites of DogGoneSafe and the American Veterinary Medical Association. Epidemiological findings and statistics about fatal dog attacks are published on many websites, including promotional websites by personal injury attorneys. One must proceed with caution, however. Misleading or factually incorrect information can be found, particularly on those websites that have a strong negative bias against pit bull type dogs. The reader is directed to Wikipedia for a comprehensive overview on fatal dog attacks. Pit bull type dogs are involved in a disproportional number of fatal dog attacks. However, this should not be taken to mean that every pit bull or pit bull type dog has the temperament or inclinations to kill a person. Every dog must be be judged on its own merits, how it is maintained, owner control, its past behavioral history, etc. This belief has been stated many times by many animal behavior experts but it is worth repeating to discredit the nonsense that all pit bulls are dangerous by nature. Certainly, some pit bulls type are extremely dangerous and in certain circumstances can readily kill a person. However, there are other dogs as dangerous as some pit bulls. For example, I would rank an attack-trained police K9 equally as dangerous, particularly when the handler cannot control the dog. An uncontrolled attack-trained police K9 is a lethal force. Below, I will not repeat well-known epidemiological and statistical information about fatal dog attacks. Rather, I will state from my perspective in animal behavior science the concerns I have regarding the opinions expressed by some self-proclaimed animal behavior “experts”. First, as mentioned some website authors obviously have strong biases against pit bull type dogs. 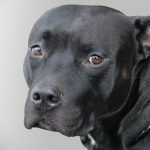 As such, these authors present dog bite fatality data that are “cherry picked” for the purposes of promoting a campaign demeaning pit bull type dogs. It appears that some website authors are on a mission to demean the pit bull in whatever way possible. These so-called experts ignore the fact that not all pit bulls are dangerous by nature. There are tremendous individual differences between dogs. The vast majority of severe or fatal dog attacks on people by pit bulls are inflicted by poorly bred, untrained and unsocialized males. In nearly all instances these dogs are maintained by irresponsible owners. And many honorable Americans were proud owners of pit bulls: For example, Thomas Edison and Theodore Roosevelt. Second, the accuracy of data on fatal dog attacks depends on the validity and accuracy of facts about the incident as reported in news stories by the journalists who write the stories. Website authors depend on this information to create the content on their sites, yet the extent to which the information published is independently verified remains dubious. Generally, the information is taking on face value. This may be problematic for a number of reasons. Particularly significant is the information reported about the breed of dog involved. Occasionally, mistakes in correctly identifying the breed of dog(s) involved in a fatal attack happen (see problems with pit bull terrier identification). Likewise, other data collection techniques (animal control reports, police reports, witness observation) used for breed identification purposes in fatal dogs attack investigations may be flawed because of problems inherent with accurate breed identification through visual means. Third, because mistaken breed identity may occurs, numbers may be inflated for certain kinds of dogs, such as pit bull type dogs. Fourth, it is important to note that a pit bull is not a breed of dog. Instead, the term “pit bull” only describes a dog that has an appearance similar to a American Pit Bull terrier or American Staffordshire terrier. In some cases a dog identified as a pit bull, based on its physical appearance, may be genetically similar to the American Staffordshire Terrier (AKC recognized) or an American Pit Bull (UKC recognized), but in other cases the dog is genetically dissimilar. Fifth, the reader should note the incidences of fatalities listed on any website may not represent every case in the United States where death was caused by a dog attack. It is conceivable that some fatal dog attacks in the United States go unreported and never make news headlines, particularly in rural areas. Finally, the fatalities reported on many websites may not be a direct result of injuries sustained from a dog attack. For example, in some dog bite fatalities the primary cause of death is secondary to bite injuries caused by an attack. Examples include caradic arrest, freezing to death after falling unconscious following an attack, rabies, septicaemia, infection or falling on head as a result of being attacked. For example, I recall a reported incident in March 2010 incident in Lucknow, South Carolina involving a 65-year-old lady. Several websites reported this as a dog bite fatality caused by a pit bull attack, but subsequently the autopsy indicated a fatal heart attack was the primary cause of death (presumably from the stress of the attack). Also, note that a human fatality can be caused by the behavior of a dog that does not involve aggressive intent (e.g. smothering). Click here for medical perspective on the causes of death as a direct result of the dog attack. What causes death from a dog bite? 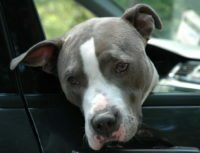 Why the high rate of fatal dog attacks in Texas? What cause fatal dog attack on elderly lady in North Carolina? Did a mother’s coughing trigger a predatory fatal dog attack on a newborn in California? Dr. Polsky is in animal behavior dog bite specialist located in Los Angeles, California. He has been retained as an expert by attorneys on several high profile fatal dog attacks throughout the United States, including the well-known San Francisco dog mauling. Dr. Polsky welcomes inquiries from attorneys.